My Only Concern is Getting My Clients Accurate Results so they can make an informed decision whether or not a mitigation is needed. 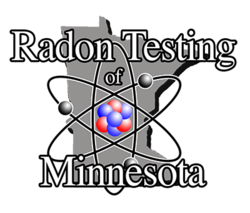 A properly preformed Radon Test By Radon Testing of Minnesota is Quick and easy. When we conduct a Radon Test our Client receives a full color report that includes the hourly Data recorded by the machine used and more importantly we include the Calibration certificate for the machine used in the Test. Weather you use Radon Testing of Minnesota or not, always request that the Certificate of Calibration for the device used to be included in the report given. According to the Minnesota Department of Health, if a Machine used in a Radon test has not been calibrated by a certified lab in the last 12 months it is an invalid test.